We have competed in all 5 years of the Mountain High BBQ and Music Festival in Franklin NC, and really enjoy this contest. We make a family vacation out of this event and the one in Dillard GA the week before. Seems like the last few years we have taken a beating in Dillard and done OK in North Carolina and this year was no different in that regard. What was different was we were sitting on 6 GC’s for the season, needing just one more state championship win to earn an “Automatic” invitation to the Jack Daniel’s World Championships in Lynchburg TN. After the results in Dillard I had pretty much given in to the thought that it was not meant to be this year. Fortunately I was wrong! We managed four top-4 calls with a 2nd in chicken, 3rd in ribs, 4th in pork, and 3rd in brisket to make us Grand Champs in the KCBS field of 49 pro teams! This was my first GC in NC which was cool, but even better was this win gave me 7 state championships (9 GC’s) for the season and an automatic invitation to “The Jack.” That was my goal this season and I’m proud to say I met that challenge. And Amy got 3rd for her dessert entry in Dillard, and 6th in Franklin! If you look closely, Swamp Boys team flag is visible just under the 3rd flag from the left. This current JD promo picture must have been shot in 2009! 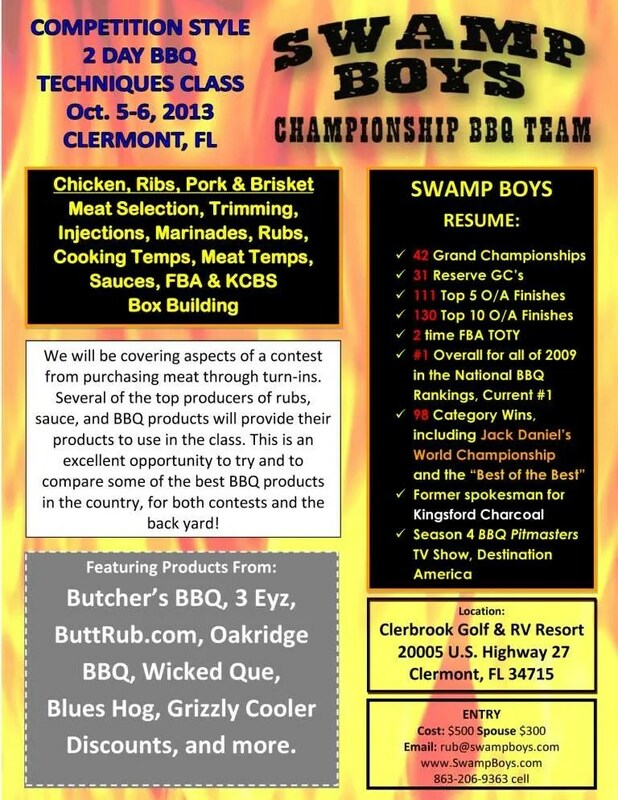 Swamp Boys Q School Announced! I have received a number of requests asking for another BBQ class before the end of the year. Fortunately I was able to secure a date and location so here we go! WHEN: Oct. 5-6 Begin 1:00pm Saturday, go through dinner (provided), break for the evening, resume 7:30am Sunday and go until finished – around 3pm +/- a half hour. 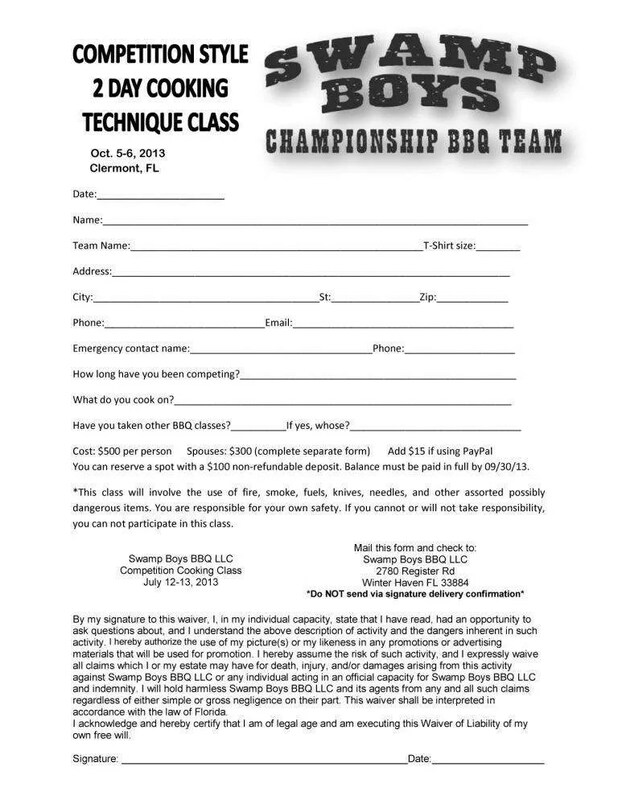 WHO: Anyone who wants to improve their low and slow barbecuing skills, from the backyarder to the competitive teams. Click on the application at bottom, print it out, and mail to the address provided.